Comfort care is an essential part of medical care at the end of life. It is care that helps or soothes a person who is dying. The goal is to prevent or relieve suffering as much as possible while respecting the dying person’s wishes. You are probably reading this because someone close to you is dying. Is it a parent or grandparent, your husband or wife, a favorite aunt or uncle, your best friend? You wonder what will happen. You want to know how to give comfort, what to say, what to do. At the same time, you’re possibly unsure about what is needed, worried about doing the wrong thing, or afraid of being there—or not being there—at the moment of death. You might be giving day-to-day care to the dying person, chosen to make health care decisions, or a close family member or friend who wants to help. You would like to know how to make dying easier—how to help ensure a “good death,” with treatment consistent with the dying person’s wishes. A “good death” might mean something different to you than to someone else. Your sister might want to know when death is near so she can have a few last words with the people she loves and take care of personal matters. Your husband might want to die quickly and not linger. Perhaps your mother has said she would like to be at home when she dies, while your father wants to be in a hospital where he can receive treatment for his illness until the very end. Some people want to be surrounded by family and friends; others want to be alone. Of course, often one doesn’t get to choose, but having your end-of-life wishes followed, whatever they are, and being treated with respect while dying are common hopes. Generally speaking, people who are dying need care in four areas—physical comfort, mental and emotional needs, spiritual issues, and practical tasks. 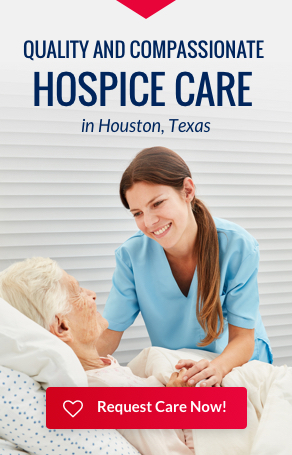 In this chapter you will find a number of ways you can be of help to someone who is dying. Always remember to check with the health care team to make sure these suggestions are appropriate. Pain. Watching someone you love die is hard enough, but thinking that person is also in pain makes it worse. Not everyone who is dying experiences pain, but there are things you can do to help someone who does. Experts believe that care for someone who is dying should focus on relieving pain without worrying about possible long-term problems of drug dependence or abuse. Don’t be afraid of giving as much pain medicine as is prescribed by the doctor. Pain is easier to prevent than to relieve, and overwhelming pain is hard to manage. Try to make sure that the level of pain does not “get ahead” of pain-relieving medicines. If the pain is not controlled, ask the doctor or nurse to arrange for consultation with a pain management specialist. Struggling with severe pain can be draining. It can make it hard for families to be together in a meaningful way. Pain can affect mood—being in pain can make someone seem angry or short-tempered. Although understandable, irritability resulting from pain might make it hard to talk, hard to share thoughts and feelings. Breathing problems. Shortness of breath or the feeling that breathing is difficult is a common experience at the end of life. The doctor might call this dyspnea (disp-NEE-uh). Worrying about the next breath can make it hard for important conversations or connections. Try raising the head of the bed, opening a window, using a vaporizer, or having a fan circulating air in the room. Sometimes, the doctor suggests extra oxygen, given directly through the nose, to help with this problem. People very near death might have noisy breathing called a death rattle. This is caused by fluids collecting in the throat or by the throat muscles relaxing. It might help to try turning the person to rest on one side. There is also medicine that can be prescribed to help clear this up. But not all noisy breathing is a death rattle. And, it may help to know that this noisy breathing is usually not upsetting to the person dying, even if it is to family and friends. Skin irritation. Skin problems can be very uncomfortable. With age, skin becomes drier and more fragile naturally, so it is important to take extra care with an older person’s skin. Gently applying alcohol-free lotion can relieve dry skin as well as be soothing. Dryness on parts of the face, such as the lips and eyes, can be a common cause of discomfort near death. A lip balm could keep this from getting worse. A damp cloth placed over closed eyes might relieve dryness. If the inside of the mouth seems dry, giving ice chips, if the person is conscious, or wiping the inside of the mouth with a damp cloth, cotton ball, or a specially-treated swab might help. Sitting or lying in one position puts constant pressure on sensitive skin, which can lead to painful bed sores (sometimes called pressure ulcers). When a bed sore first forms, the skin gets discolored or darker. Watch carefully for these discolored spots, especially on the heels, hips, lower back, and back of the head. Turning the person from side to back and to the other side every few hours may help prevent bed sores. Or try putting a foam pad under an area like a heel or elbow to raise it off the bed and reduce pressure. A special mattress or chair cushion might also help. Keeping the skin clean and moisturized is always important. A bed sore that won’t heal probably needs treatment by a wound specialist. Digestive problems. Nausea, vomiting, constipation, and loss of appetite are common end-of-life complaints. The causes and treatments for these symptoms are varied, so talk to a doctor or nurse right away. There are medicines that can control nausea or vomiting or relieve constipation. If someone near death wants to eat, but is too tired or weak, you can help with feeding. If loss of appetite is a problem, encourage eating by gently offering favorite foods in small amounts. Or try serving frequent, smaller meals rather than three big ones. But, don’t force a person to eat. Going without food and/or water is generally not painful, and eating can add to discomfort. Losing one’s appetite is a common and normal part of dying. A conscious decision to give up food can be part of a person’s acceptance that death is near. Temperature sensitivity. People who are dying may not be able to tell you that they are too hot or too cold, so watch for clues. For example, someone who is too warm might repeatedly try to remove a blanket. You can take off the blanket and try a cool cloth on his or her head. If a person is hunching his or her shoulders, pulling the covers up, or even shivering—those could be signs of cold. Make sure there is no draft, raise the heat, and add another blanket, but avoid electric blankets because they can get too hot. Fatigue. It is common for people nearing the end of life to feel tired and have little or no energy. Keep activities simple. For example, a bedside commode can be used instead of walking to the bathroom. A shower stool can save a person’s energy, as can switching to sponging off in bed. Medical tests and treatments can be uncomfortable and can drain the strength of a person who is dying. Some may no longer be necessary and can be stopped. Complete end-of-life care also includes helping the dying person manage any mental and emotional distress. Someone nearing the end of life who is alert might understandably feel depressed or anxious. Encouraging conversations about feelings might be beneficial. You might want to contact a counselor, possibly one familiar with end-of-life issues. If the depression or anxiety is severe, medicine might provide relief. A dying person might also have some specific fears and concerns. He or she may fear the unknown or worry about those left behind. Some people are afraid of being alone at the very end. This feeling can be made worse by the understandable reactions of family, friends, and even the medical team. For example, when family and friends do not know how to help or what to say, sometimes they stop visiting. Or, someone who is already beginning to grieve may withdraw. Doctors may become discouraged because they can’t cure their patient and feel helpless. Some seem to avoid a dying patient. This can add to a dying person’s sense of isolation. If this appears to be happening, try to discuss your concerns with the family, friends, or the doctor. The simple act of physical contact—holding hands, a touch, or a gentle massage—can make a person feel connected to those he or she loves. It can be very soothing. Warm your hands by rubbing them together or running them under warm water. Try to set the kind of mood that is most comforting for the dying person. What has he or she always enjoyed? Some experts suggest that when death is very near, music at low volume and soft lighting are soothing. In fact, near the end of life, music therapy might improve mood, help with relaxation, and lessen pain. Listening to music might also evoke memories those present can share. For some people, keeping distracting noises like televisions and radios to a minimum is important. People nearing the end of life may have spiritual needs as compelling as their physical concerns. Spiritual needs involve finding meaning in one’s life and ending disagreements with others, if possible. The dying person might find peace by resolving unsettled issues with friends or family. Visits from a social worker or a counselor may also help. Many people find solace in their faith. Praying, talking with someone from one’s religious community (such as a minister, priest, rabbi, or Muslim cleric), reading religious text, or listening to religious music may bring comfort. Family and friends can talk to the dying person about the importance of their relationship. For example, adult children can share how their father has influenced the course of their lives. Grandchildren can let their grandfather know how much he has meant to them. Friends can relate how they value years of support and companionship. Family and friends who can’t be present could send a recording of what they would like to say or a letter to be read out loud. Sharing memories of good times is another way some people find peace near death. This can be comforting for everyone. Some doctors think it is possible that even if a patient is unconscious, he or she might still be able to hear; it is probably never too late to say how you feel or to talk about fond memories. Always talk to, not about, the person who is dying. When you come into the room, it is a good idea to identify yourself, saying something like “Hi, Bob. It’s Mary, and I’ve come to see you.” Another good idea is to have someone write down some of the things said at this time—both by and to the one dying. In time, these words might serve as a source of comfort to family and friends. People who are looking for ways to help may welcome the chance to aid the family by writing down what is said. There may come a time when a dying person who has been confused suddenly seems clear-thinking. Take advantage of these moments, but understand that they might be only temporary, not necessarily a sign he or she is getting better. There are many practical jobs that need to be done at the end of life—both to relieve the dying person and to support the caregiver. Everyday tasks can be a source of worry for someone who is dying, and they can overwhelm a caregiver. Taking over small daily chores around the house—such as answering the door, picking up the mail or newspaper, writing down phone messages, doing a load of laundry, feeding the family pet, taking children to soccer practice, picking medicine up from the pharmacy—can provide a much needed break for caregivers. A dying person might be worried about who will take care of things when he or she is gone. Offering reassurance. Reminding the dying person that his or her personal affairs are in good hands can also bring comfort. If you are the primary caregiver, try to ask for help when you need it. Don’t hesitate to suggest a specific task to someone who offers to help. Friends and family are probably anxious to do something for you and/or the person who is dying, but they may be reluctant to repeatedly offer when you are so busy. Setting up a phone tree or computer listserv for the family to contact friends and other relatives can reduce the number of calls to the house. A listserv is a way to send the same message to a large group of people through email. Some families set up a website where they can share news, thoughts, and wishes. These can all save close family members from the emotional burden of answering frequent questions about how their loved one is doing. This section has described what family and friends can do to provide comfort and ease to someone nearing the end of life. Here are some questions to help you learn more about what you might do. Can I help, maybe … walk the dog, answer the phone, go to the drug store or the grocery store, or watch the children for you?